See the full programme at alternativefilmvideo.org. Films and recording of a conversation from 1995. Holandski eksperimentalni film 1960 - 1990. Participants: Marina Gržinic, Bruce Checefsky, Aleksandra Milovanovic, Mariangela Ciccarello & Philip Cartelli, Isidora Ilic & Boško Prostran (Doplgenger), Ed Webb-Ingall, Sanne Sinnige, Sebestyén Kodolányi, Esther Johnson, Anna Almeida. X Tape - Dragan Mileusnic and Željko Serdarevic, Croatia, 2015, 8 min. 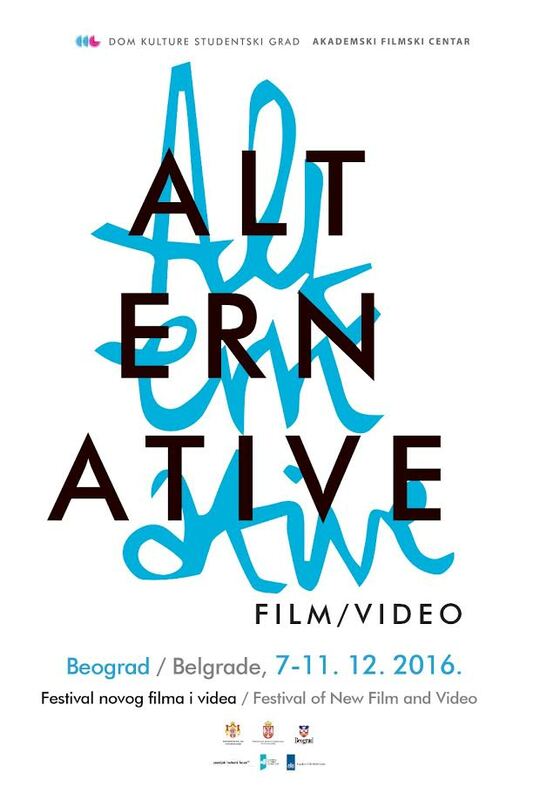 Alternative film/video is the festival of Yugoslav alternative film and video. The aim of the festival is to document and define in theory the trends, to point at the values and new creative possibilities in the fields of alternative film and video. All autors of alternative film and video have the right to participate.